The essential go-to guide to film festivals is now even better! Some people are just there for the loot bags. But most of the people at a film festival are trying to market and sell an independent film. Don't be just one of the horde. Chris Gore's guide tells you exactly how to become a player in the indie world. Entertainment Weekly loves Gore's book, calling it a "treatise on schmoozing, bullying, and otherwise weaseling one's way into the cinematic madness known as film festivals." Plus access to Chris Gore's online database with up-to-the minuter information for every film festival in the Universe! 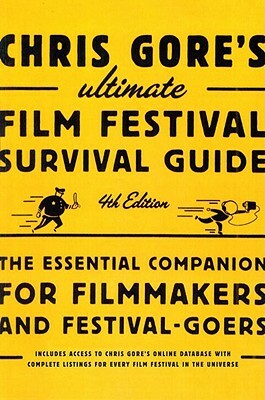 Chris Gore's The Ultimate Film Festival Survival Guide is the bible for filmmakers touring on the festival circuit. Use this book to help your indie film stand out! Chris Gore is an author, columnist, television host, and filmmaker who has built a solid reputation as the brutally honest founder of the legendary Film Threat. He has traveled the world for more than 20 years to over 100 film festivals. He is the co-writer and producer of My Big Fat Independent Movie. Chris lives in Los Angeles.